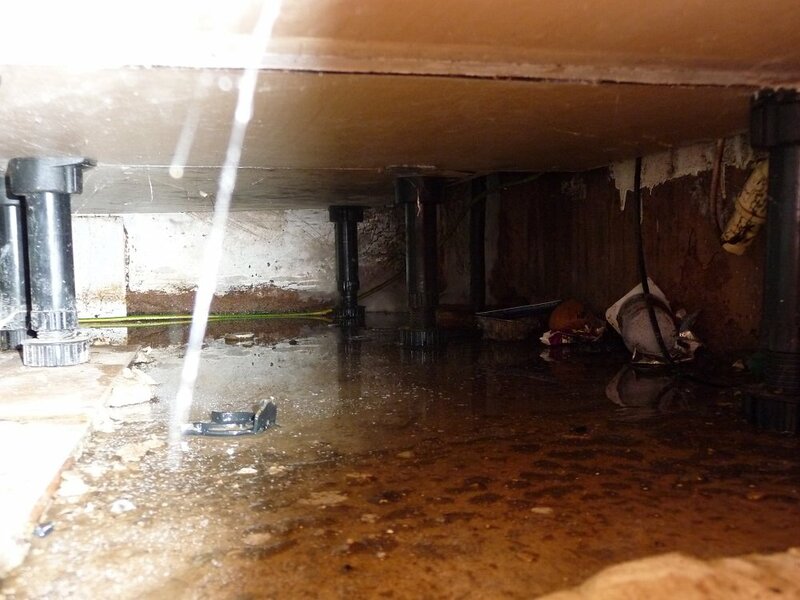 Water leak in any property can have a have a long lasting effect and some unforeseen consequences. 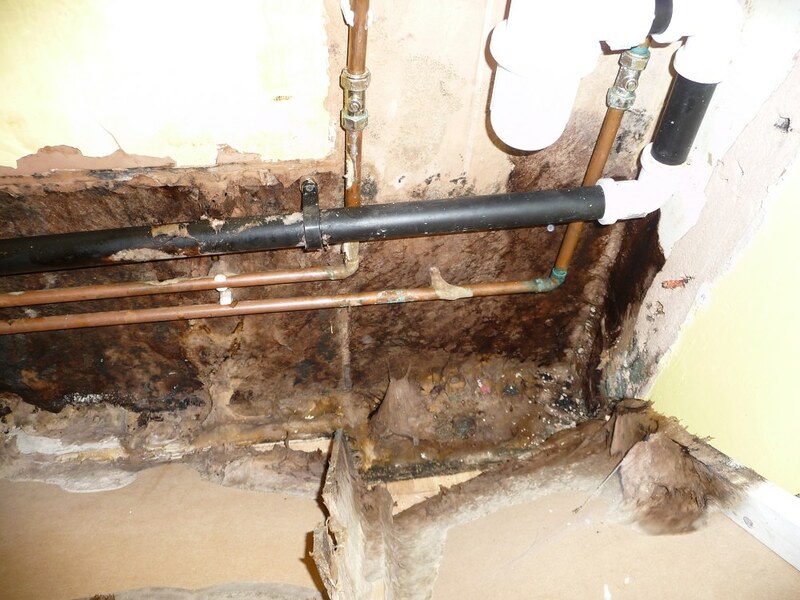 In this particulate case a substantial mould contamination to the part of the property was triggered by relatively small water leak to a modern boiler situated in the loft of a small bungalow. The leak has caused saturation of ceiling plasterboard with water and progressed through the block walls below. The occupants become gradually aware that something is wrong when patches of mould started to appear on previously non-problem surfaces and generally indoor air quality started to degrade. The occupants noticed increase in internal humidity levels and started to notice musty unpleasant odours emanating from the central toilet area. The property owner has done his investigation and discovered the leak to the loft boiler himself. He contracted a local repair specialist who promptly resolved the problem with the boiler. The property owner was expecting the indoor air quality problems to gradually subside as the wet wall dry. However the situation did not progress as expected and mould patches have started to appear in the adjacent corridor, bathroom and kitchen. 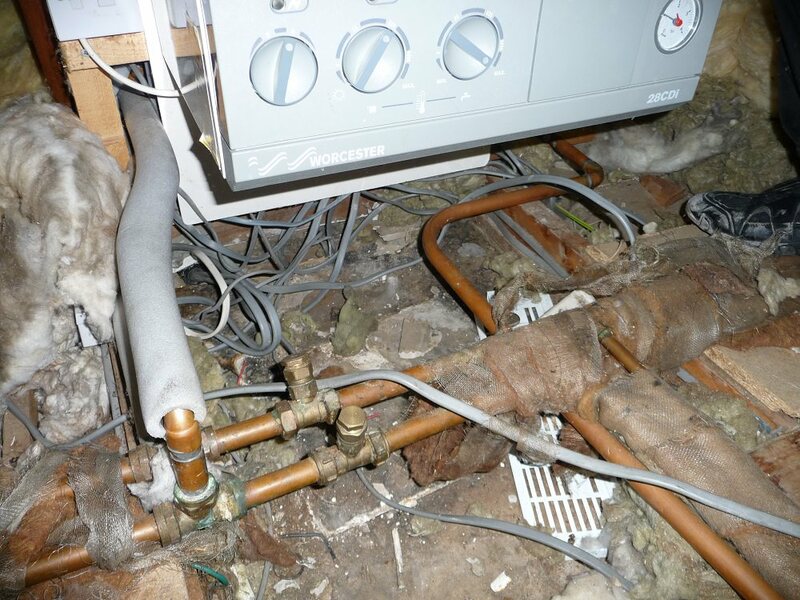 Several months after the discovery and repair of the leaking boiler the indoor air quality in the house was getting progressively worse to the point the situation became unbearable. I was appointed to investigate the reasons for poor indoor air quality and safely remove the existing mould contamination. The moisture mapping in the property has revealed that even though the upper parts of the walls have been dry or getting dryer the lower parts were still very wet. The moisture content in the bottom part of the wall was too high to be caused by the boiler leak several months down the line. Assessment of the whole property showed that the water damage to bottom part of the walls was concentrated to a relatively small area in the centre of the property and was affecting only 4 walls and about 20 square meters of the flooring. The moisture mapping indicated that there might be another problem hidden in the kitchen area. I have removed the kitchen units, appliances and dismantled part of the wall kitchen. It became immediately obvious that the water damage was not limited to the toilet itself. 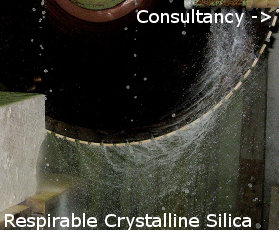 Careful investigation of hidden pipe works and utility water discharge pipes showed several slow dripping leaks. Almost every joint on the old copper piping was affected by leak to some degree. Dripping water was stagnating behind the fixed kitchen units where it was saturating the flooring and adjacent block and plasterboard walls. This leak has most likely appeared simultaneously with the loft boiler leak or shortly after and thus more obvious problem has masked the hidden one. 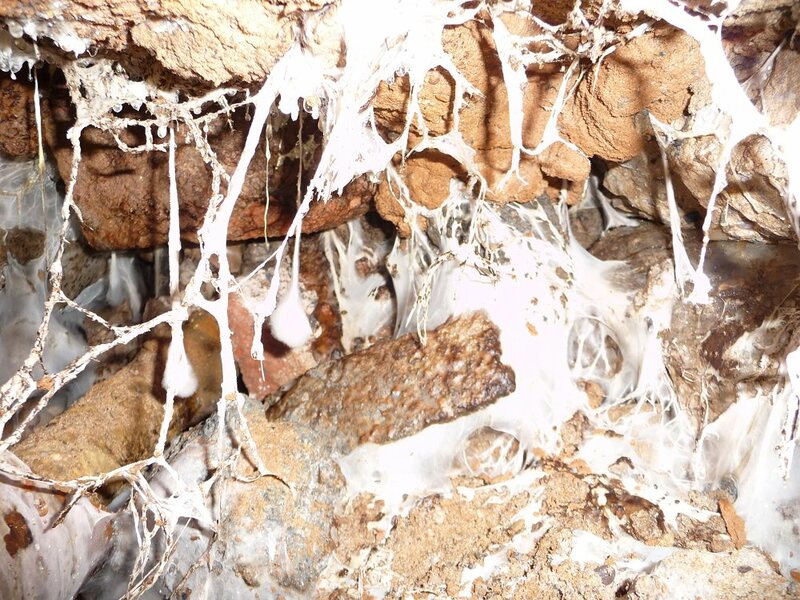 The presence of relatively large amount of water for a long period of time has caused quite serious fungal contamination to part of the property. 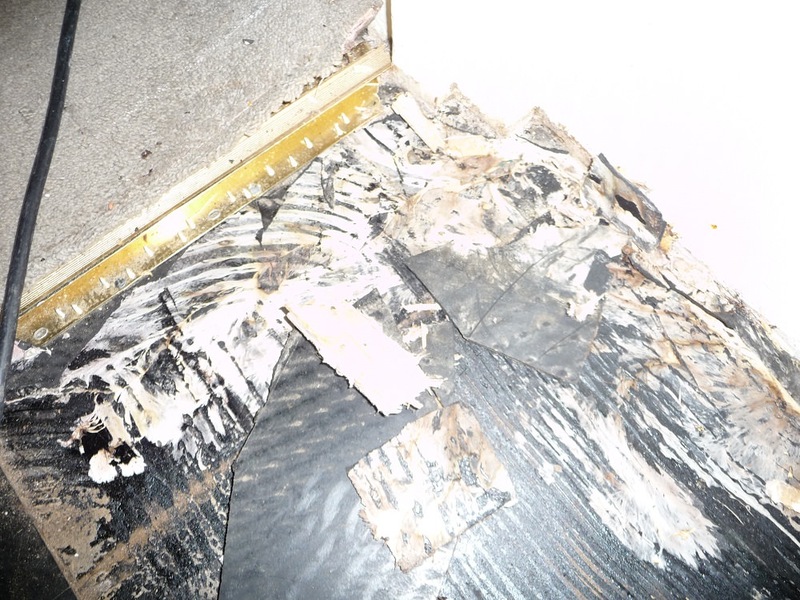 Removal of the toilet suspended flooring showed significant wood rot with fungal strands (rhyzomorphs) penetrating into the under floor cavity. 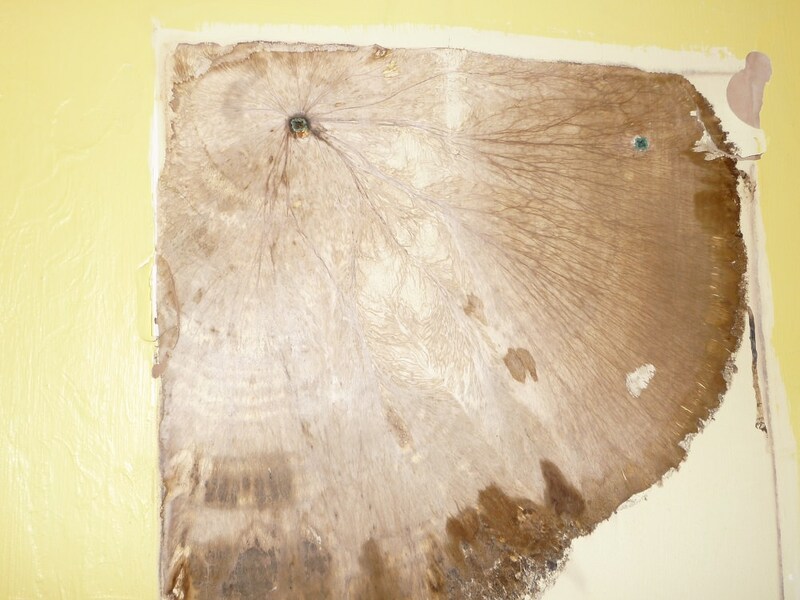 Most of the fungal contamination was caused by wood rotting fungi. The indoor air quality was mainly affected by microbiological volatiles compounds (MVOC) released by these fungi. The spore count in the property was quantitatively similar to the background count however the identification to individual genuses showed significantly elevated numbers of Penicillium/Aspergillus moulds and also showed presence of water damage mould Stachybotrys absent in the outside environment. Subsequent analysis and identification of the moulds confirmed the presence of Aspergillus flavus and Stachybotrys chartarum moulds. My investigation has showed that the property is still suffering from significant water damage n previously unidentified areas and that the mould contamination has extended into the kitchen and lounge area. Identification of mould also confirmed that potentially hazardous moulds were presence at the property and there exist a risk to health of the occupants. After the investigation has been completed the property owner has involved his insurance company and substantial demolition and repair works had to be carried out to rectify the problem. interesting observation. I think that open-minded a thorough approach is the best way when doing any king of investigative work.